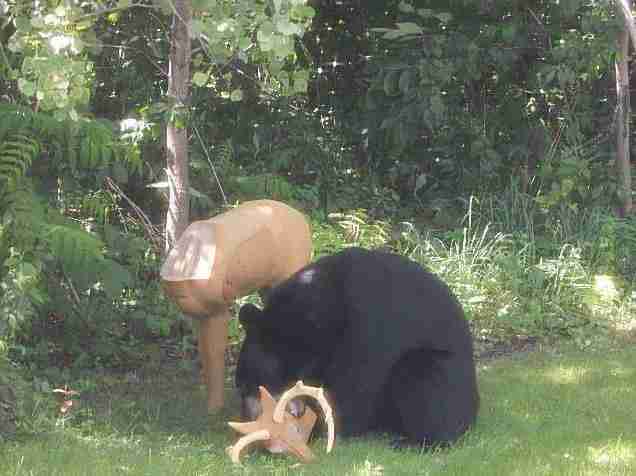 This lawn ornament deer never stood a chance. 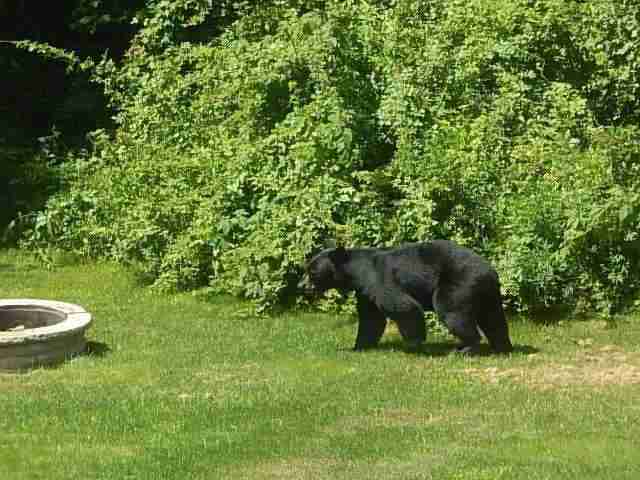 The peace and safety of his natural habitat, in a suburban backyard, was shattered recently when a large bear decided to meander on through without warning - leaving behind only carnage (of sorts) in his ruthless, ridiculous wake. Even as the menacing-looking predator approached, the deer remained frozen and unflinching - not so much out of fear, but more likely due to the fact that he is made out of plastic. 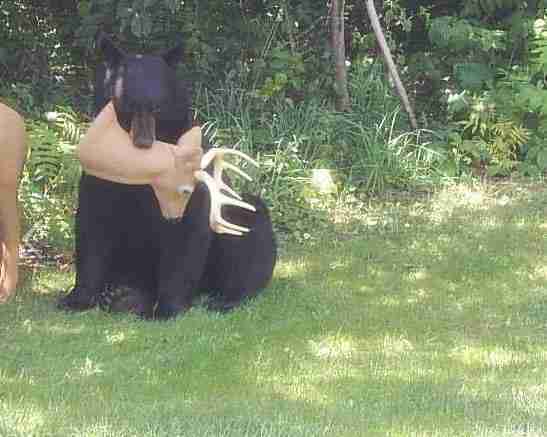 Not being a real living animal, but rather one of the lawn ornament variety, however, seemed to do little for the artificial deer in dissuading the silly bear from making him his prey that day. 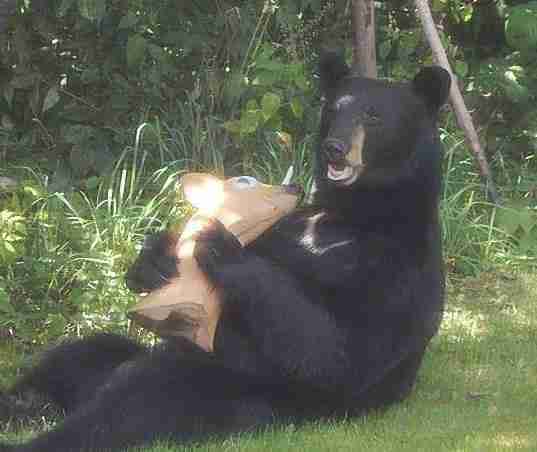 With a swipe of the bear's powerful paws, the plastic animal's head was taken clean off. 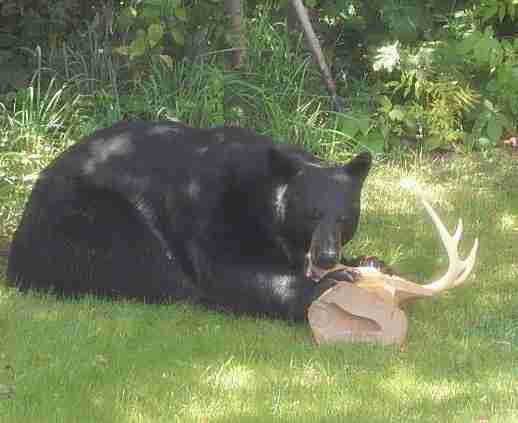 The victor then posed a moment with his grim prize. 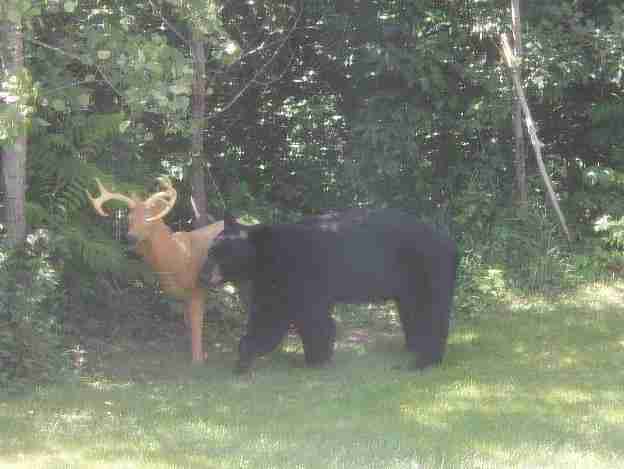 One might have guessed that the bear's predatory pursuits would have ended there, but the helpless deer wouldn't be so fortunate. Things quickly took a turn for the worst. 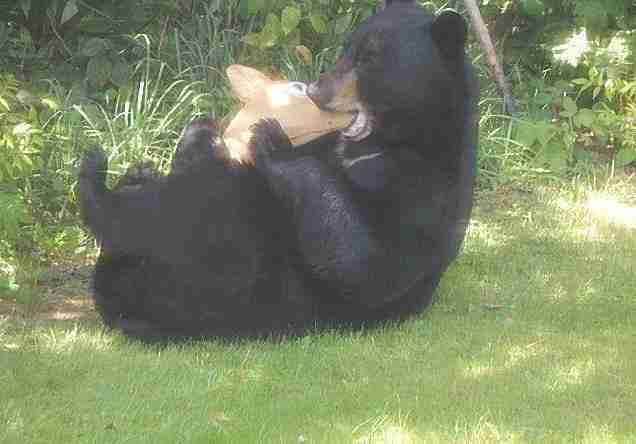 The bear showed exactly zero remorse. 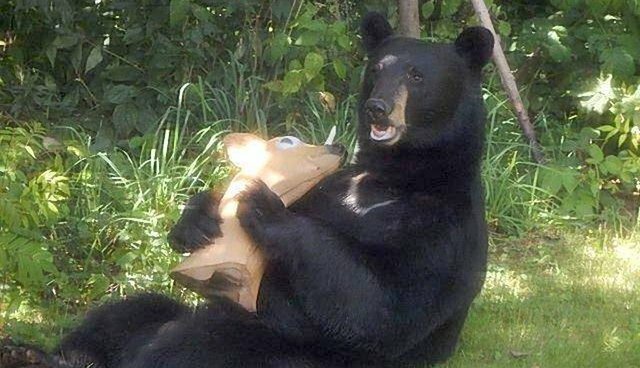 And just like that, the lawn ornament's grassy kingdom was conquered, ceded to the bear without so much as a whimper - except maybe later on from the homeowner who bought him and put him there. 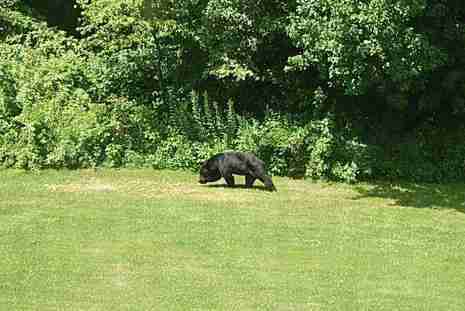 The bear, meanwhile, left just as quickly as he came - perhaps to plan his next attack on some unsuspecting gnomes or rigid flock of bright pink flamingos.